It’s a demanding schedule for the ex Westlife singer doing a gig in a different city every night for a month. 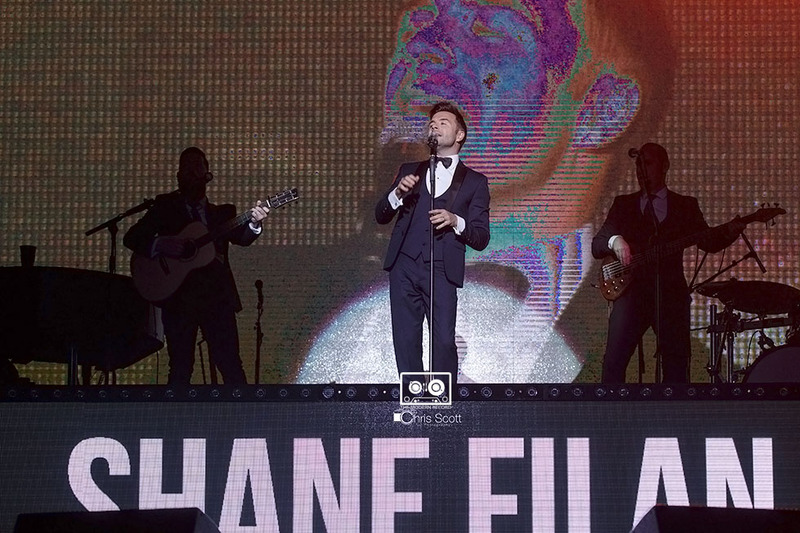 The concert opened in a very rainy Dundee on the 20th October and even though the heavens were open, Shane’s loyal fans turned out in decent numbers. 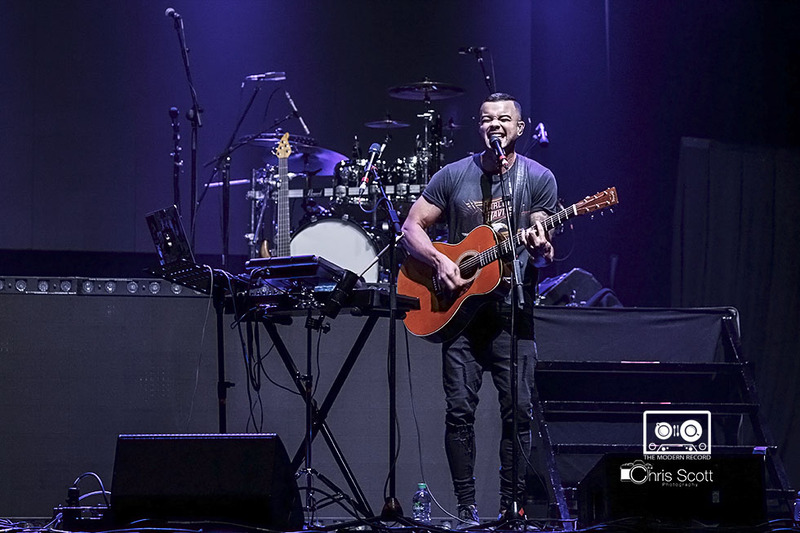 The show began with Australian singer Guy Sebastian who was popular with the local crowd. Lots of shouts for him to get his top off reverberated around the darkened stalls, which he took with good humour. 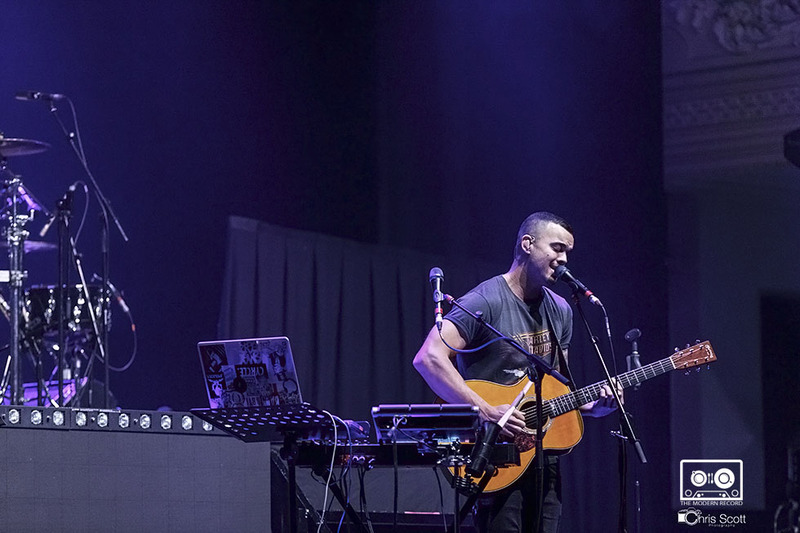 Guy opened with a nice song called Battle scars, a nice tune which was delivered well and obviously came from the heart. During the performance the engagement with the crowd for Australian number one single “Who’s that Girl” was surreal and Guy responded to their request which went down well with the Dundee audience. His set came to a end with his new single "High on Me" a tune that would test any soprano, but he nailed every note. Guy is obviously one to watch out for the future. Shane's set started with “When you’re looking like that” a real lively rendition of this popular tune, followed swiftly by “About you” Shane has a great stage presence without being cheesy. He engaged with the crowd well ensuring they all got a bit of his attention. 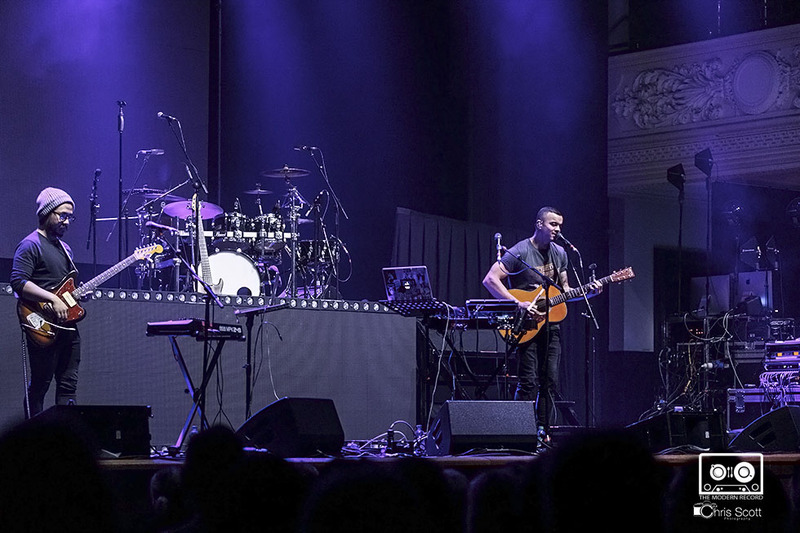 He took time to talk to the crowd about his love of Scotland and jested with the crowd who were shouting for him to get his top off..
“Unbreakable” was next swiftly followed by “This I promise you” then“What makes a man” which again was just a faultless lyrical performance. Shane was a really was on top of his vocals and belted these out effortlessly. Good energy in the performance ensured the crowd were never off their feet. He introduced his band to the crowd who at this stage were all standing and singing along to every song and hung off every word. 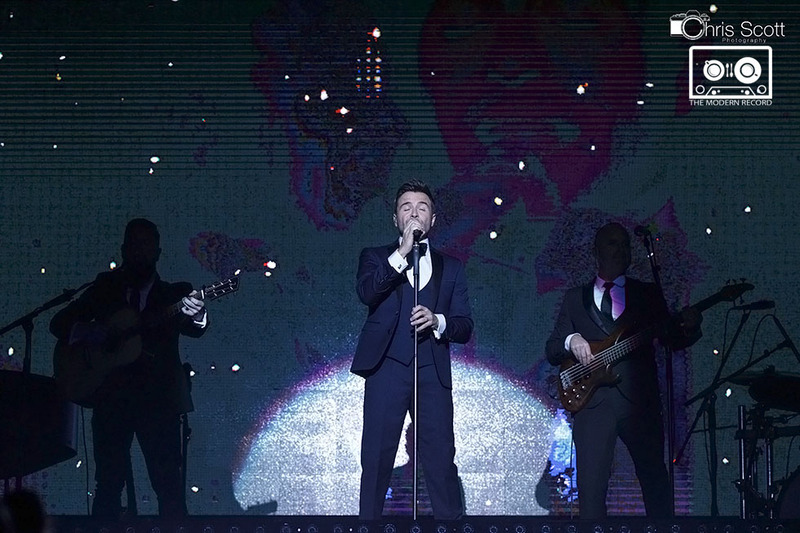 Filan then went onto “Beautiful in White” which slowed things down and onto the faultless rendition of “What about now” which was a real crowd pleaser. After this song he finished this part of the show with “Knee deep in my heart” then went off for a costume change. Next part of the show was Shane seated and it was cover ballads including the bangles hit “Eternal Flame” and a haunting version of “I can’t make you love me” which again showed the true calibre of Shane as a performer. This seemed to bring the crowd and the atmosphere down slightly before the he belted out “Heaven” and moving up to the where the band were situated. More banter with the crowd was followed by his version of “Cake of the Ocean” and “Power of Love” which really lifted his loyal fans. 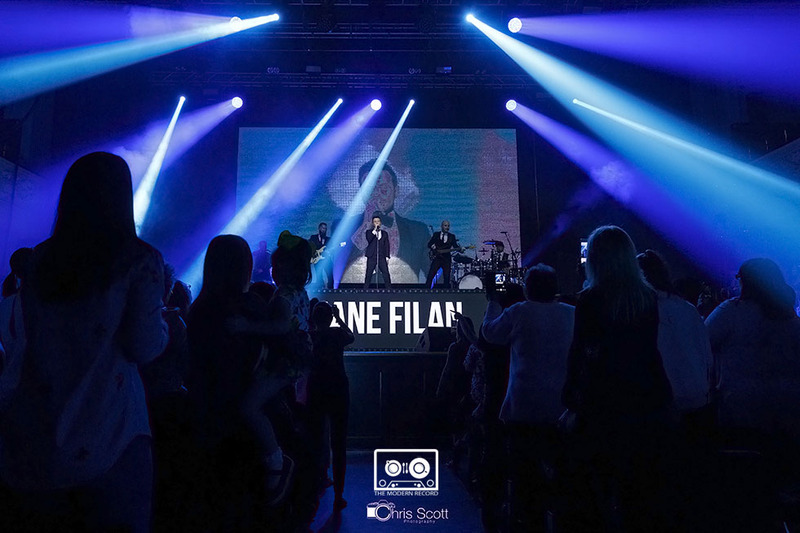 Shane Filan did a thank you speech, specifically focused on the tour guys, management and of course his loyal fans. He then performed his go to tune “You raise me up” he let the crowd down gently by letting them know this was near the end. Lot’s of “Love you Shane” from the audience as he left the stage. His show came to close, while Shane was ready to come back on stage for his Encore, the building echoed with chants of "We want Shane"... "Don't dream it's all over" and final song of "World of our Own". This tour has a strong following and think this tour will go well for him, even though it’s a demanding schedule. I must say the band were very tight with the lead guitarist particularly talented. Overall a good gig and if you were a Westlife fan, it would be worth going to see. I was surprised by the age range going from very young to old and a mix of men and women.